The latest MovieScore Media release presents the music of Jacob Groth, the Danish composer who wrote the music to the original Stieg Larsson Millennium trilogy (The Girl with the Dragon Tattoo, etc). 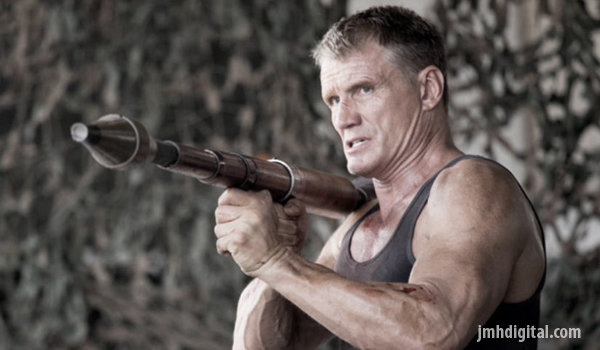 Directed by Ekachai Uekrongtham, Skin Trade stars Dolph Lundgren, Tony Jaa and Ron Perlman in an action thriller about human trafficking. The film tells the story of Nick (Lundgren) whose previous investigation on the Russian mob left his family dead. Set on a vendetta, our hero travels to Bangkok and teams up with a Thai detective (Jaa) to bring down the human trafficking mafia in their Southeast Asian center. Based on a screenplay originally written by Lundgren himself, Skin Trade spans a haunting and exotic action thriller score by Danish composer Jacob Groth. As the composer puts it "The music is dedicated to the fight against human-trafficking. It’s not only an action-score, but also a score with real themes written for the characters, both the good, the bad and the ugly!" The music ranges from the Bourne-inspired, paranoia-fueled “Nick Is Framed” to the touching “We Are Human” or “Theme for Min” which reflect upon the lives ruined by human trafficking. Groth’s score is performed by The Danish Filmharmonics, featuring some of the best musicians of the Nordic countries. Born in 1951, Jacob Groth is a Danish film composer who is best known for scoring the film trilogy based on Stieg Larsson's Millennium series (The Girl with the Dragon Tattoo, The Girl Who Played with Fire and The Girl Who Kicked the Hornet’s Nest) and a number of award-winning Danish TV series as well as the CBS series Unforgettable. He regularly works with Niels Arden Oplev, Groth received his second Danish Film Academy Award for Oplev's Worlds Apart, Denmark's official entry for the Best Foreign Language Film at the Academy Awards. The composer is also known for his songs “Would Anybody Die (For Me)“ from The Girl Who Played with Fire and the opening song “Forgiveness” from the DR series The Eagle, both of which have lyrics and vocals by his spouse, Misen Groth.